Hans Jörnvall’s research centers on three fields: peptide hormones; dehydrogenases and reductases (important in alcoholism, metabolism, differentiation-related diseases and in cortisone activation); and proteomics and cancer marker analysis centering on mass spectrometry, expression in prostate, endometrial, and colorectal cancer. His group has developed novel microfluidic: electrocapture cells, and highly efficient H/D exchange cells for on-line measurements of protein conformations and binding properties. 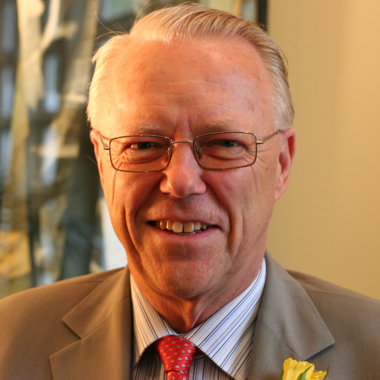 Dr Jörnvall was chairman of the Department of Physiological Chemistry 1987-1993, and of the Department of Medical Biochemistry and Biophysics 1993-1999 at the Karolinska Institutet. 2000-2008, he was Secretary General of the Nobel Committee and Assembly. He was a member of the Board of the Swedish Medical Research Council 1995-1998, of the Faculty Board of Karolinska Institutet 1984-1990, of the Nobel Foundation 2000-2009, and of the Council for the Lindau Nobel Laureate Meetings 1999-2009. He is a member of the Royal Swedish Academy of Sciences, and of several national and international committees.